Workforce Management software helps you reduce labor waste and achieve your goals with technology that produces efficient and actionable schedules. Advanced algorithms allow organizations to benefit from a variety of forecasting options that meet their business needs. Improve workforce efficiency - Reduce labor waste, maximize agent scheduling efficiency, match scheduling with skills and requirements, and improve forecast accuracy while maintaining or improving service level objectives. Empower your agents - Improve the agent experience by giving your agents a voice in their work schedule. Enable agents to manage preferred hours, include temporary adjustments, offer scheduling and vacation bidding and auto-approve requests. Gain confidence in your forecast - Understand the historical accuracy of your forecasts and gain confidence to take action on intra-day adjustments and future schedules. Improve accuracy with automatic tracking aids, receive email notifications & alerts, adapt quickly to unexpected changes. Simplify long term planning - Ensure adequate staff is available when needed and proactively plan for any conceivable volume-impacting events. Accommodate unlimited events, leverage "what if" scenario planning, precisely align future staffing needs. StrataCore can help bring clarity to the rapidly evolving CCaaS (Contact Center as a Service) marketplace to ensure you get the best solution for your specific needs. 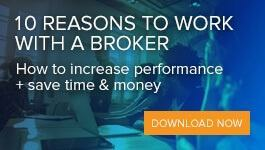 Here's a short video that speaks to the advantages of using an IT services broker to source best-in-class solutions.